When you need Jefferson County bail bonds, you may not want to waste precious time searching for a Jefferson County bail bonds company while you or your loved one wait behind bars. That’s why our trusted team of bail bondsmen here at AnyTime Bail Bonding, Inc. are ready to help. We understand that you are experiencing a difficult time, but we can help you get out of this crisis as soon as possible. So give us a call at (478) 625-3711. You may also visit our office at 1159 Clarks Mill Rd, Louisville, GA 30434 to see how we can help get your loved one out. You may feel intimidated about seeking bail bondsmen in Jefferson County, but we want to put your mind at ease. If your loved one has been granted bail, you can get them released from custody by hiring a bail bondsman. As your bail bondsmen, we will pay the 10 to 15 percent of the bail amount for you so that you can bring your loved one home today. For example, if the judge sets bail at $10,000, you will only need to pay between $1,000 and $1,500. Don’t worry if you don’t have $1,500 for bail bonds in Jefferson County GA. We will only charge you between 12 percent and 15 percent of the preceding sum. Then, we will pay the entire $1,000 to $1,500 amount to the court for your loved one, so you will also need to offer us some form of collateral. This can be real estate or other valuable property. In the event that you do not pay your fee, we will have the right to seize the collateral and sell it as payment for your bill. Our Jefferson County bail bondsman guarantees that your loved one will show up in court for his scheduled hearing. 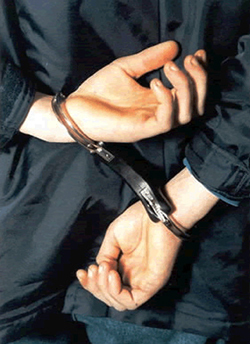 If your loved one does not appear, we will be required to pay the court the entire bail amount. Because we have so much to lose, we have the right to hire a bounty hunter to find your loved one if they run away before his court hearing takes place. The bail bonds process in Jefferson County begins when we pay the court a bond that is fully insured for the amount of the bail. Then, the jail will release your loved one. It may take up to 24 hours, but it could also take as little as 45 minutes. Our Jefferson County bail bonds company will not end our relationship with you until your loved one’s case is complete. Until then, they will need to present himself at our office every month until their case is over. When that occurs, the fee that you paid to us will not be returned.